SKU: 0 609408422188. Category: All, Documentary, Released. Tags: Drama, Halmet, Shakespeare, Stage, Theatre. 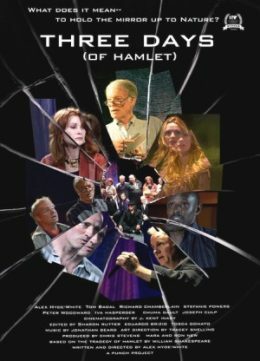 A hero’s journey from the most unlikely of sources, a Shakespeare in Love for the reality set…What makes this first-person doc so unique is the hero’s personal narrative; an actor/manager, dealing with the “ghost” of his father, both real and imagined. Taking place over three days, they rehearse and perform a stage reading of Shakespeare’s classic — in this day of mixed media and cultural attention deficit, a monumental task that is rendered gracefully. As the lives of the players juxtapose over their characters, what results is a fascinating look at how, once again, art illuminates life. By holding the mirror up to ourselves, we illuminate the world around us.